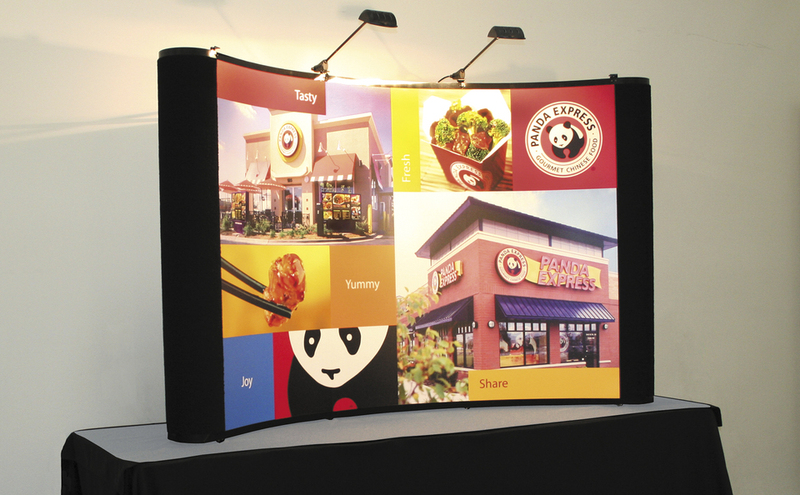 Panda Express uses the tabletop exhibit to promote its brand and image – America’s No. 1 Chinese quick-service concept with more than 800 restaurants – at trade shows and industry conferences. “People were attracted to the bold images and colors. Our intention was to be noticed – and indeed we were,“ says Stephanie Verdugo, Panda Express Real Estate Administrator. 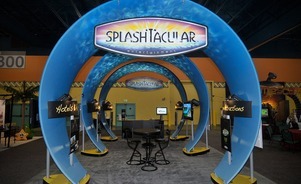 Two 6’-wide tabletop exhibits and two matching 10’ full-size exhibits deliver a consistent message at a variety of events throughout the country. 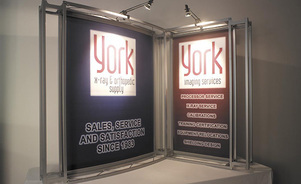 Exhibit staff appreciate that, in any size, Skyline’s Mirage pop-up display offers the convenience of lightweight handling, instant assembly and compact transporting. “The design of the display makes it easy to manage during a hectic schedule,“ Verdugo says. “Set-up and dismantling time is minimized, leaving more time for our team members to spend meeting with people. 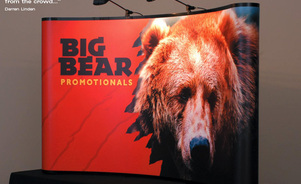 The compactness of the display is especially helpful when traveling to the show." 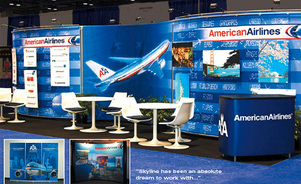 With Skyline as its partner, AA bought a fleet of banner stands and pop-up displays for small shows, rented a variety of exhibit structures up to 20' by 20' for in-between shows, and slashed non-productive trade show expenses. 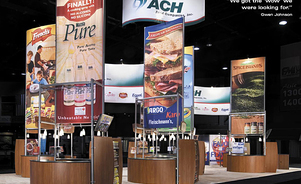 Three annual redesigns transformed a 10'-by-20' Skyline exhibit into a 30'-by-60' island for ACH Food Companies' collection of branded food ingredients.